The young, highly talented Swiss coloratura soprano Yvonne Friedli studied in Berlin and now lives here. At the Berlin Academy of Music „Hanns Eisler“ she was a pupil of Norma Sharp and Thomas Quasthoff. Moreover, she attended the aria interpretation class of Julia Varady and the Lied class of Prof. Rieger. 2009 collaboration with Irwin Gage within the framework of a master course. After passing her studies with distinction in 2009, Yvonne Friedli has been extending her repertoire with KS Renate Holm in Vienna and Joachim Vogt in Berlin. 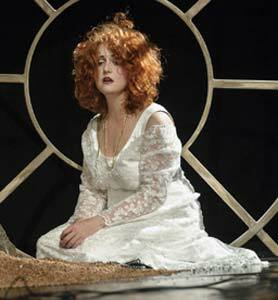 The young artist, who is a very talented actress, gained first stage experience in 2003 as Christelflein in Hans Pfitzner’ s same-titled opera under the direction of Peter Konwitschny. Within the framework of an academy production, the soprano sang Zerbinetta in „Ariadne auf Naxos“ and in 2006 she was a member of the ensemble that performed „Mozart am Trapez“ under the musical direction of Christoph Hagel in the Berlin Winter Garden. 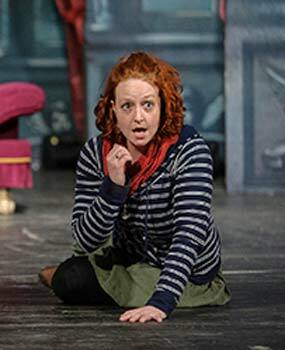 Yvonne Friedli portrayed the Blonde in „Der Entführung aus dem Serail“ at the Theatre of Frankfort-on-the-Oder. In the opening concert of the Innsbruck Festival of Ancient Music she sang the solo part in the „Dettinger te Deum“ under the musical direction of Piers Maxim and the Historicus in „Historia di Jephta“ under René Jacobs. 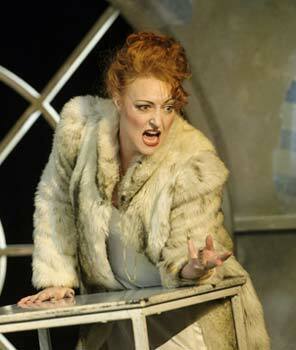 In summer 2010 Yvonne Friedli was engaged by the renowned Léhar-Festival in Bad Ischl to sing the Countess Stasi. Together with the Thuringen Philharmic Orchestra, she sang the New Year Concerts of 2011 in Meiningen and in autumn 2010 the artist made her concert debut in the Concert House at the Gendarmenmarkt in Berlin. In October/November 2011 Yvonne Friedli participated in the world premiere of Lera Auerbach’s opera „The Blind“ with the Berlin Chamber Opera at the Berlin Concert House. In summer 2012 is Yvonne Friedli portrays BRONISLAVA in ‚The Beggar Stuent’ in open-air-performances in Neustrelitz.